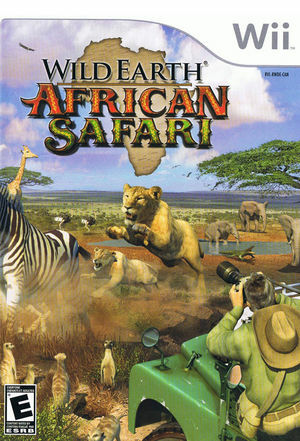 Explore the wild and capture its natural beauty on film in Wild Earth: African Safari, a unique simulation for the Wii based on the PC game from Super X Studios. Take award-winning pictures of exotic animals in their natural habitats without disturbing them. From running with herds of zebra to following hunting lions and scavenging vultures, Wild Earth: African Safari lets you risk it all to capture and create magazine-quality pictorials! The graph below charts the compatibility with Wild Earth: African Safari since Dolphin's 2.0 release, listing revisions only where a compatibility change occurred. This page was last edited on 13 January 2018, at 15:52.